In the summer of 1972, with a presidential crisis stirring in the United States and the cold war at a pivotal point, two men, the Soviet world chess champion Boris Spassky and his American challenger Bobby Fischer, met in the most notorious chess match of all time. 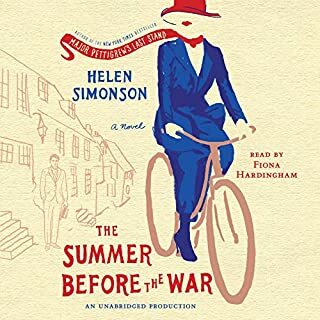 Their showdown in Reykjavik, Iceland, held the world spellbound for two months with reports of psychological warfare, ultimatums, political intrigue, cliffhangers, and farce to rival a Marx Brothers film. Based on a popular ESPN Magazine article - optioned by Disney films, a finalist for a National Magazine Award and chosen by Dave Eggers for inclusion in Best American Nonrequired Reading 2011 - the astonishing true story of Phiona Mutesi, a teenager from the slums of Kampala, Uganda, who - inspired by an unlikely mentor, a war refugee turned missionary - becomes an international chess champion. Phiona Mutesi sleeps in a decrepit shack with her mother and four siblings and struggles to find a single meal each day. Phiona has been in and out of school her whole life because her mother cannot afford it, so she is only now learning to read and write. Phiona Mutesi is also one of the best chess players in the world. One day in 2005, while searching for food, nine-year-old Phiona followed her brother to a dusty veranda where she met Robert Katende, another child of the Ugandan slums, who works for an American organization that offers relief and religion through sports. Robert introduced Phiona to the game of chess and soon recognized her immense talent. By the age of 11 Phiona was her country’s junior chess champion and at 15, her country’s national champion. In September of 2010 she traveled to Siberia, just her second time ever on an airplane, to compete in the Chess Olympiad, the world’s most prestigious team chess event. Phiona’s dream is to one day become a grandmaster, the most elite title in chess, and to blaze a trail out of Katwe that other children in Robert’s chess community can follow. 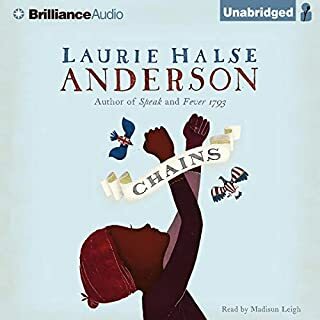 But to reach that goal, she must grapple with everyday life in one of the world’s most unstable countries, a place where girls are taught to be mothers, not dreamers, and the threats of AIDS, kidnapping, and starvation loom over the people of Katwe. 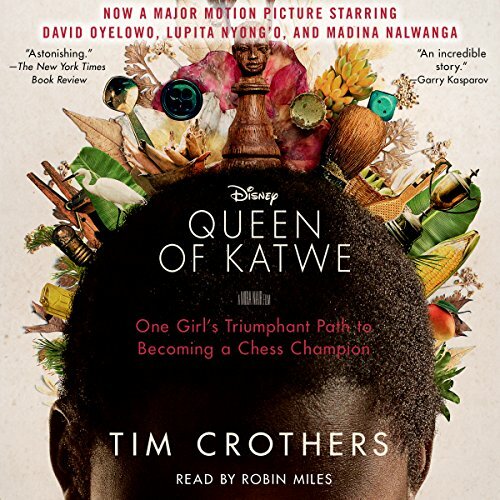 Acclaimed sports journalist Tim Crothers has written a riveting and inspiring account of one girl’s improbable journey to becoming a chess champion. The Queen of Katwe will thrill every listener who loves a great underdog story. After having seen the movie 7 times, yes, s-e-v-e-n times, I still loved this book! I t was good to learn details that were left out of the movie. A wonderful true story! Very tastefully done. 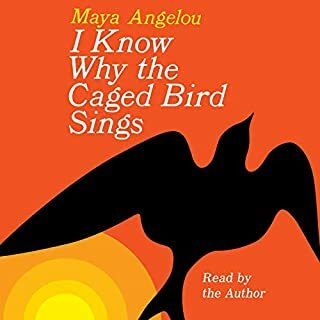 This is quite possibly one of the best books I have ever listened to! I appreciate that the author is so tasteful with certain details. He keeps the content clean enough that younger readers could enjoy it (especially considering that it takes place in Africa and the terrible circumstances these people come from). This is a very inspiring story but not one that you can casually listen to. It requires a lot of attention just to keep the different stories straight. Phiona's story is inspiring and left me wanting to know what happened to her after the book and movie. Did she ever become grand master? This is a feel-good story about a young lady from dire poverty in an African slum who finds a potential way out of her situation - chess. 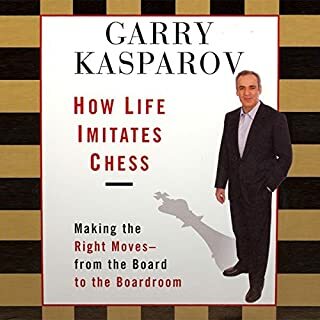 You don't have to understand chess to enjoy this book. Great story. Not just about Phiona Mutesi (Fiona). But about the power of Christ and how He works through missions and missionaries. About how God redeems the struggles and suffering of others, and works to give people hope. Plans tirelessly to reach and to be able to have relationships with all of his children. Especially those living in, as the book would say, "the in-between" life everyday. I listened with my sons. We all liked this book, but wished it talked more about Fiona. I feel 4-5 chapters went on before we heard of Fiona for the first time. I enjoyed most of this book, despite its difficult content. I really enjoyed the performance of the reader, but sometimes the writing was not very clean and hard to follow. It might be clearer in the written version, but I was unable to tell witch quotes were spoken originally in English and which were translated. Sometimes, it sounded like a very awkward translation when a character was speaking. After reading other reviews and finding out it was made into a Disney movie, I was ready for a snore fest! This was not the case at all. The story was full of life lessons and in site on life in Katawa. It also gave background on political turmoil in Uganda. 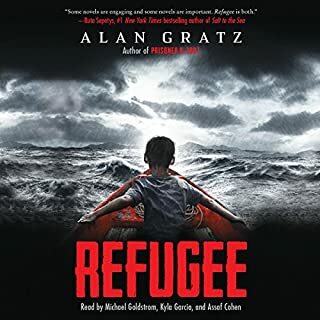 The book held my attention and I would recommend it to others. I own a Blu-ray of the movie, so I felt compelled to get the audio book. The book filled in the gaps the movie left out. 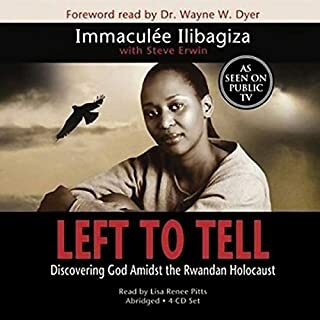 The movie was inspirational, but now completing the book makes the story of Phiona Mutesi much more significant. Couldn't wait to keep listening. I didn't want it to end. The first person accounts add to the authenticity.